Villa Palmeras Cancun is a 3* hotel located in Cancun-Airport Area, Mexico. It features 16 rooms and swimming pools. 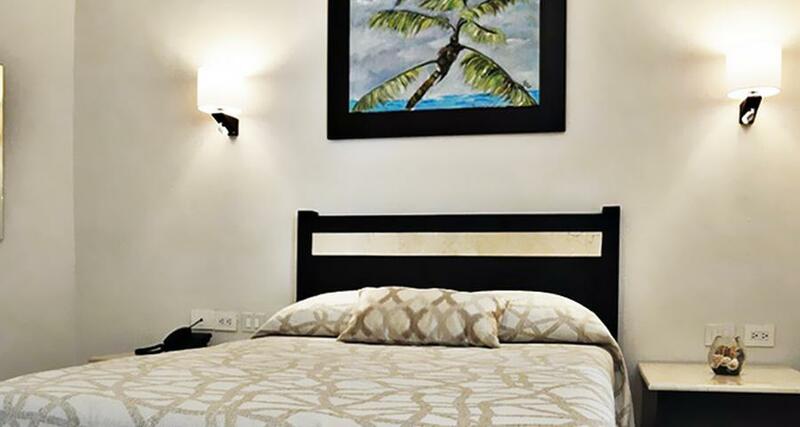 Enjoy the comfort Villa Palmeras Cancun and live the experience of having an unforgettable vacation in this pleasant property. It is located to the south of Cancun in the town of Alfredo V. Bonfil and close to the airport, in addition to having easy access to the Hotel Zone. The property has various areas and adequate facilities that provide a pleasant atmosphere and offer practical accommodation. It has a swimming pool, a parking lot, a games room and a safe. Take that rest you deserve and enjoy your stay in any of the room categories, all equipped with essential services for a lovely stay.